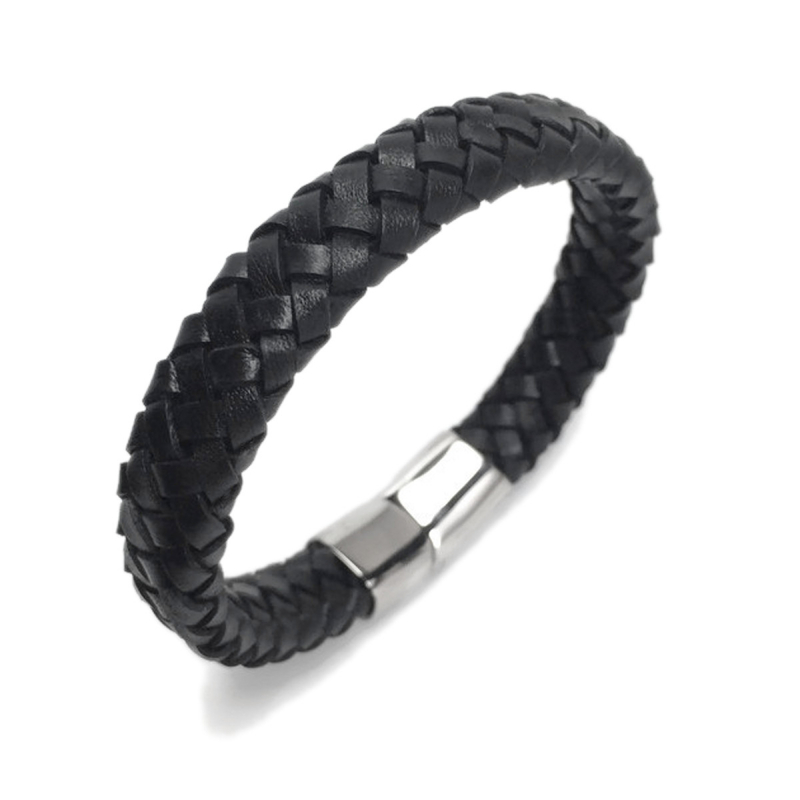 A good leather bracelet is a must have in your jewelry assortment and it will never go out of style. 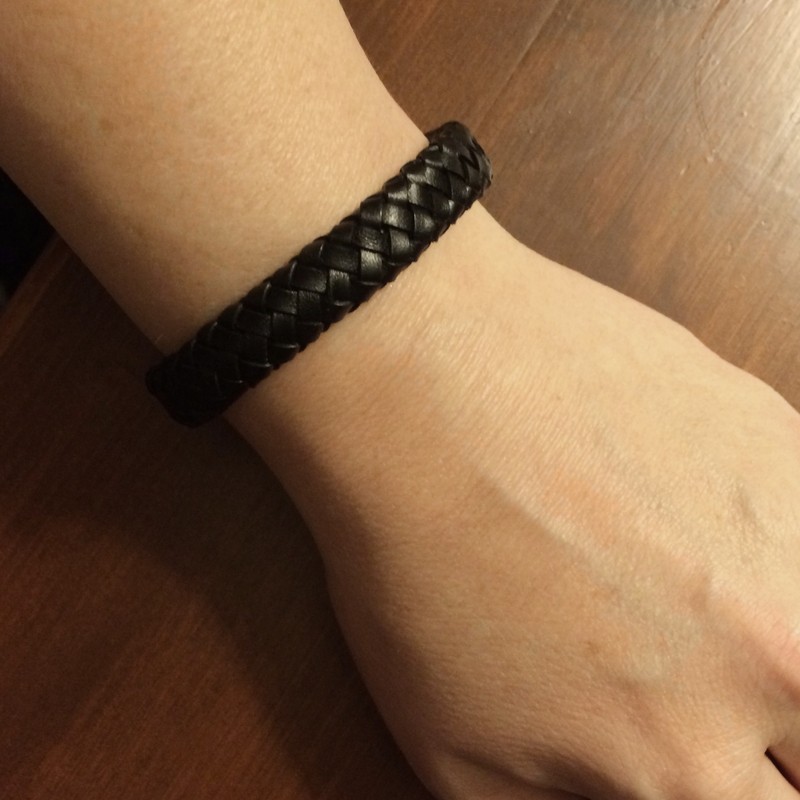 Measuring 1/2 of an inch wide (12mm), this leather weave bracelet is perfect for a man, woman or teen. 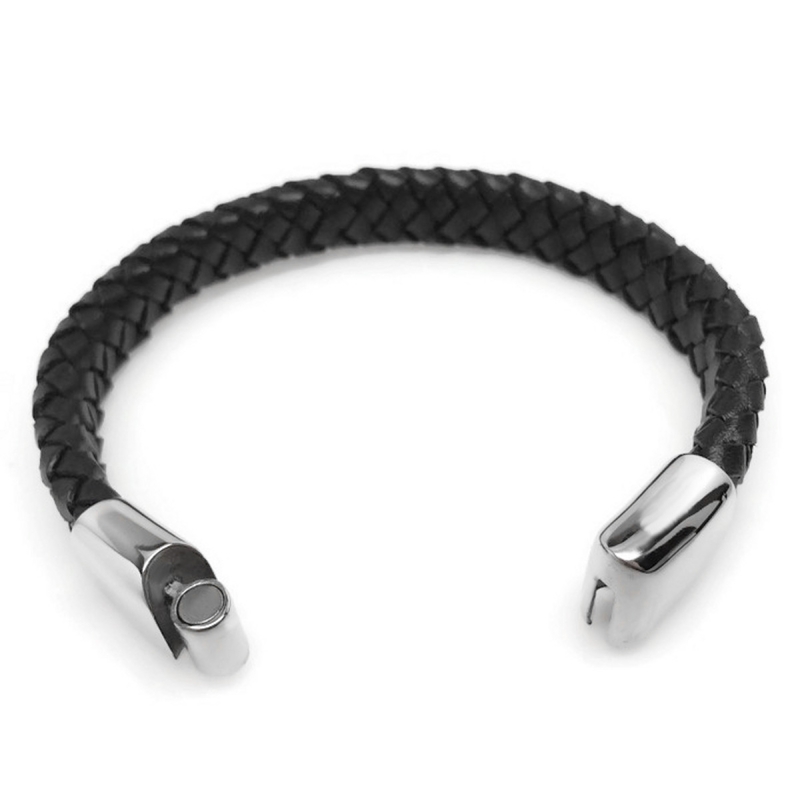 The stainless steel clasp locks in place with and easy slide together closure that is held together with a magnet. To remove, simply slide apart. Stainless steel is a great alternative to silver as it will NEVER tarnish and is very durable. It is also a great alternative for people with skin reactions to other metals. 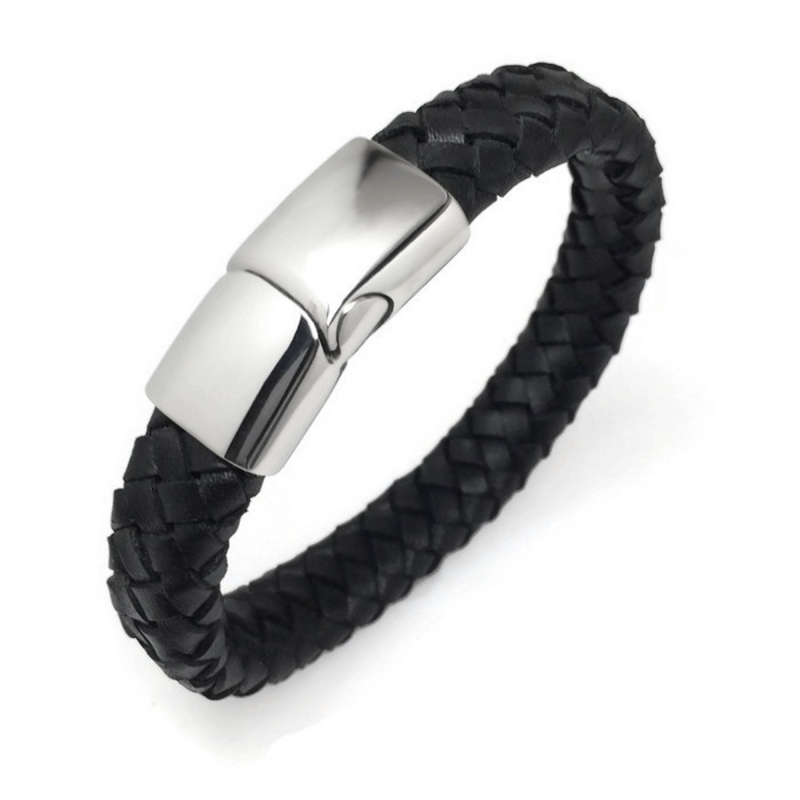 Your bracelet will ship in a satin pouch. Great for gift giving and/or storage when you are not wearing.